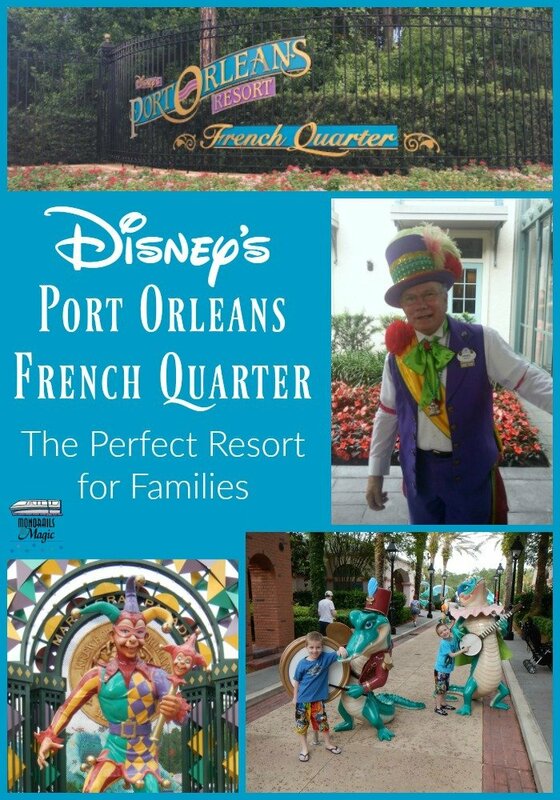 There are some amazing moderate resorts at Walt Disney World and Disney’s Port Orleans French Quarter is definitely a resort your family will love! Disney’s Port Orleans French Quarter is one of the “moderate” resorts at Walt Disney World and is located near Disney Springs. With it’s New Orleans Mardi Gras theme, this resort is lively and colorful. POFQ isn’t always the first resort that comes to mind when families with young children are planning their trip to Walt Disney World, but it is definitely one you should consider. Port Orleans French Quarter only has 1,008 guest rooms, making it the smallest moderate resort on Walt Disney World property. By comparison, Coronado Springs Resort has 1,917 rooms, Port Orleans Riverside has 2,048 guest rooms, and Caribbean Beach Resort has 2,112 guest rooms. You may be wondering what the benefit of a small resort would be and I can tell you that there is one very important benefit…less walking! You don’t need a preferred room in order to be closer to the food court. In fact, POFQ doesn’t even offer preferred rooms. Everything is close to your room. The food court. The bus stop. The pool. Everything. You will appreciate that seemingly insignificant amenity at the end of a long day in the parks. 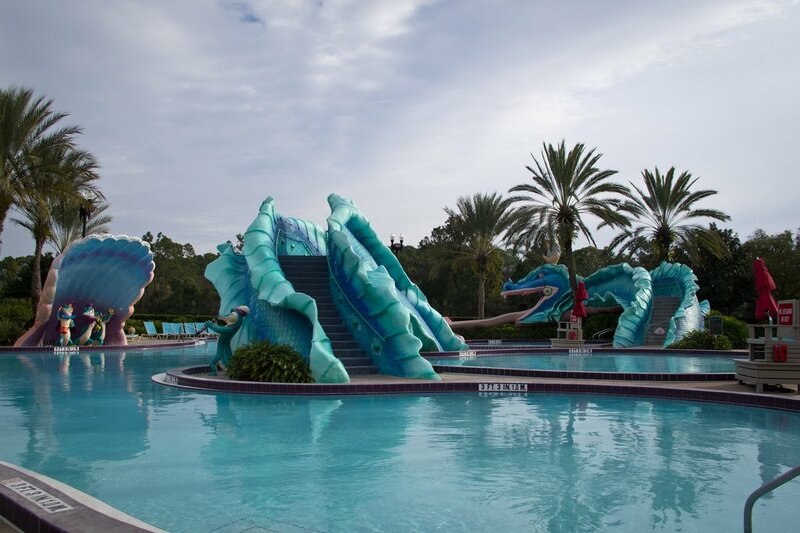 Port Orleans French Quarter is home to the Doubloon Lagoon pool, with “Scales” the sea serpent slide. It’s a calm slide that is perfect for swimmers, young and old. This resort only has one pool, but it is large enough to accomodate all of the guests. In the spring of 2016, a fun new splash area for children shorter than 48″ opened in place of the wading pool. For a closer look, check out this video from MouseSteps/JWL Media. 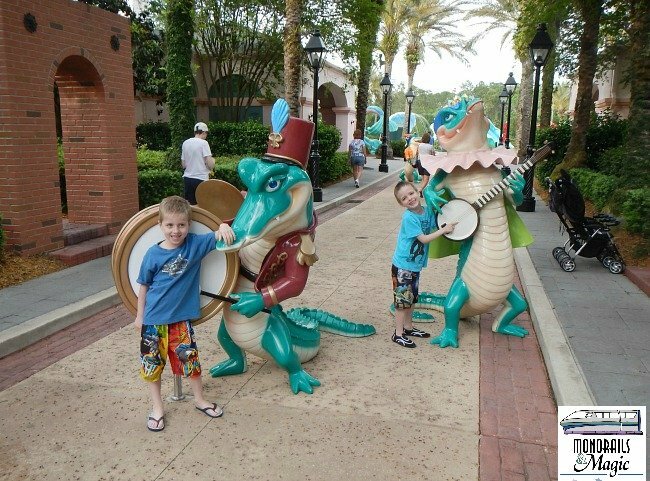 Disney’s Port Orleans French Quarter is filled with fun things for kids to see, such as alligators playing instruments and Mardi Gras themed decorations. They may not be Disney characters, but children like them just the same. Because of it’s small size, POFQ is also a very quiet resort. Fewer rooms means that the resort does not typically cater to large tour groups. If you have very young children, a quiet resort might be right for your family. 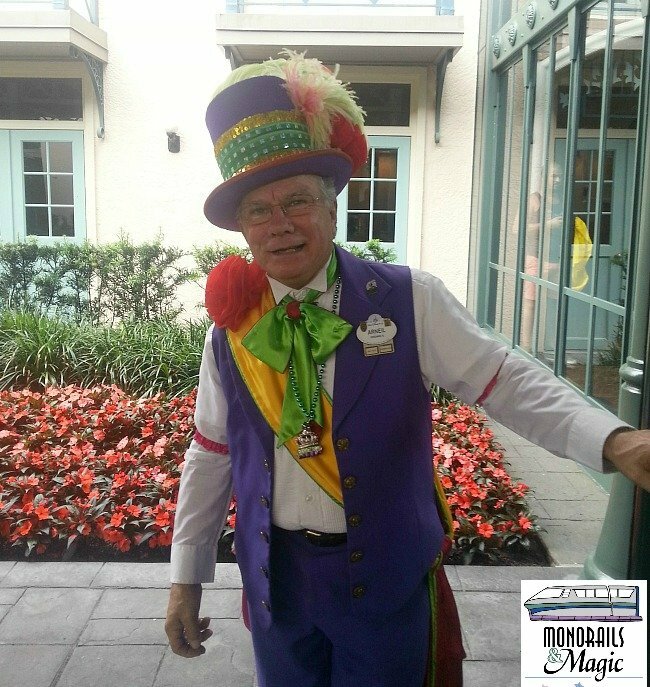 The cast members at Disney’s Port Orleans French Quarter are amazing, especially Arneil. Arneil is the doorman at the resort and he greets every guest with a smile. He gives every child a souvenir coin to make a wish in the lobby fountain or to keep. Sometimes he even has Mardi Gras beads! Arneill was one of our favorite things about POFQ when we stayed there in 2013. He has to be the most photographed doorman on Disney property. 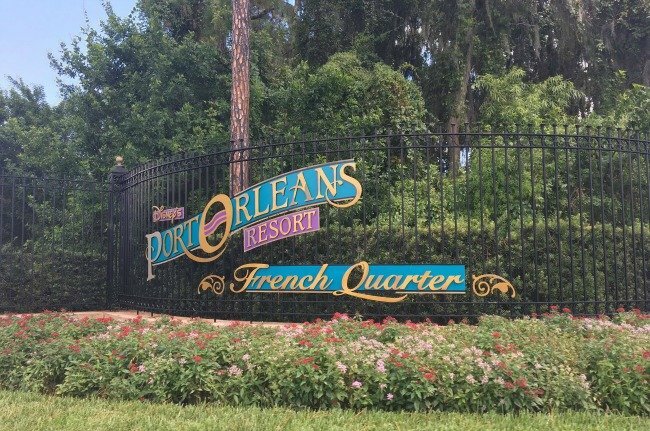 There are resorts at Walt Disney World that are less expensive and filled with Disney characters, but Port Orleans French Quarter is the perfect resort for families! I have to say, it’s not only good just for families but it’s great for couples too. It’s one of the quietest resorts I’ve stayed at, including the Deluxe resorts! I was so charmed by this resort and loved every second of it. I recommend this resort the most to guests looking to get away from the hustle and bustle of the values or the bigger moderates. I have never had the chance to stay here but have wandered over from Port Orleans Riverside a time or two. I love wandering the grounds there and roaming the New Orleans style streets. Our family loves POFQ! It’s one of my favorites in all of Disney, and we look forward to visiting again. When the movie The Princess and the Frog came out, I felt like they took the scenes from the movie straight from the resort! We’ve never stayed here, but we have passed by on the boats from Port Orleans Riverside to Disney Springs. It does look like a lovely resort. I’m not a huge fan of the Mardi Gras theme, though I love the purple and green colors. It’s neat to see and read about the resorts that I have yet to try! Gives me ideas (and an ever-growing wish list).